Dreadnought have been manufacturing premium clay roof tiles for over 200 years, using locally sourced clay in the UK to create a range of clay roof tiles with unrivalled strength and durability. 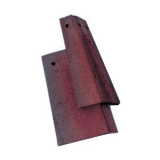 This range of premium clay roof tiles from Dreadnought come with a brown brindle smooth finish. 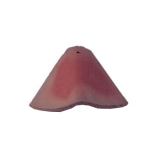 These are natural single coloured rich brown clay roof tiles with only tonal variations produced without any stains or pigments. These tiles look best against lighter multi-coloured brickwork. 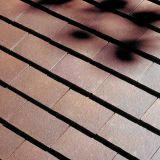 If you've got any questions or would like to know more about this range of brown brindle Dreadnought clay roof tiles, don't hesitate to give us a call on 01752 692760 or use the live chat and we'll be happy to help.